And so, in 2000, a new millennium started. With it, huge changes in how I worked: No longer did I have the luxury of getting weathered in for days at a time or even travelling to those small communities where I spent much of the 1990s. Now, it was all about cost reduction and productivity. I was still able to travel — but it was cheaper and more efficient to go to larger Canadian Arctic hubs like Kuujjuaq, Iqaluit, Rankin Inlet or Cambridge Bay than to Puvirnituq or Pond Inlet. Europe often seemed closer when you could travel there for less than it cost to travel from Iqaluit to the South. I ended up covering conferences and meetings in Norway, Denmark, Iceland, Finland, and Greenland. But a lot of my time was spent at legislative sessions, meetings or conferences in Nunavik or Nunavut —at the Kativik Regional Government, the Nunavut legislature, Inuit associations or science conferences where, as a journalist, I could get more stories. Knowing what had been going on for 10 years helped: I could see the news in what was discussed — that was a gift and also a curse, as I spent days glued to chairs instead of out in the communities. As the years progressed at the Nunatsiaq News, we were no longer filing for a weekly deadline. We moved to near real-time filing that would see me posting stories and photos as events took place. The newspaper’s news-hungry online audience also became global, with readers from around the world, and our focus at the same time became broader and more political. A topic that I never tired of writing about after my visit to Axel Heiberg’s fossil forest in 1999, climate change, grew in importance. And, along the way, I learned a lot about polar bears, belugas, seabirds, contaminants and mining — all of which became economic as well as environmental issues. 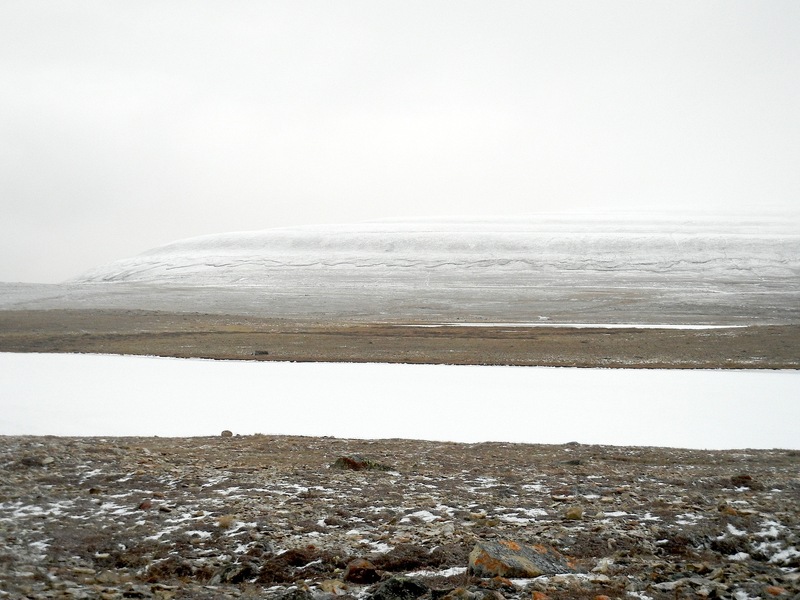 For a couple of weeks, I even read the entire environmental impact statement for the Mary River iron mine project in north Baffin, and then sat down to write a series of stories designed to help people understand this huge project. I also continued to write about violence, crime, suicide, other social upheavals and disasters — drawing on those experiences from the 1990s, which form the basis of Like an iceberg. Meanwhile, the same people moved from position to position in the North and, similarly, projects developed then fade away, only to crop up again years later. Yet some things, such as the arrival of high speed internet, changed northern life forever. 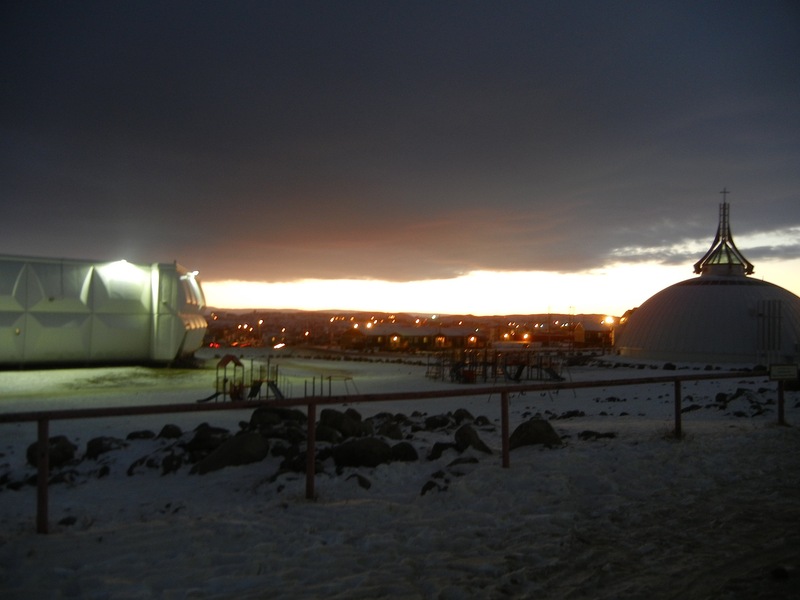 in 2006, I first visited Nunavut’s Kitikmeot region for the first time and end up returning every year until finally I carved out longer stays in Cambridge Bay, a place where people hug you when you arrive and then hug you again when you leave. 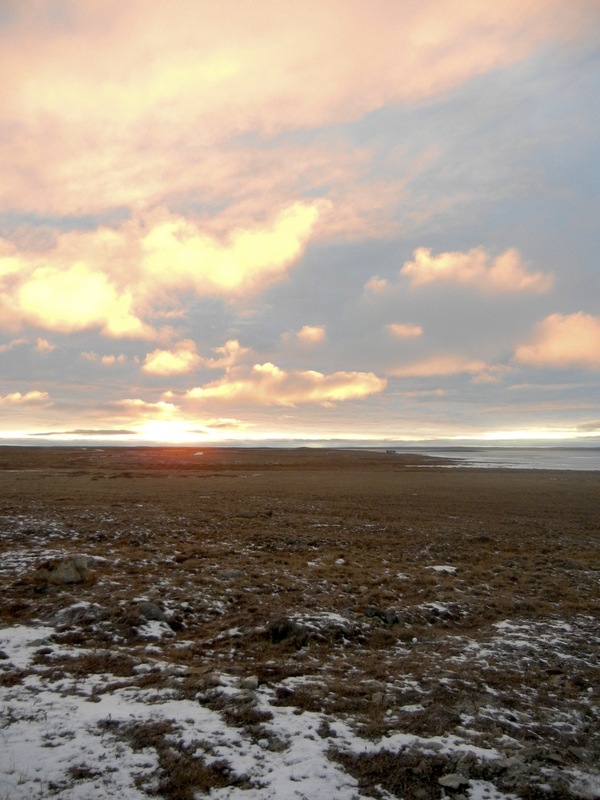 I made friends, I relished the land around the community with its endless horizon and softly-curved Mount Pelly, and I tried to write stories from the community that have some heart — about Cambridge Bay’s people, culture, history and elders. As the future home of the Canadian High Arctic Research Station, Cambridge Bay also is now home to my large collection of mostly second-hand Arctic books, which I donated in 2011 to the May Hakongak Library. 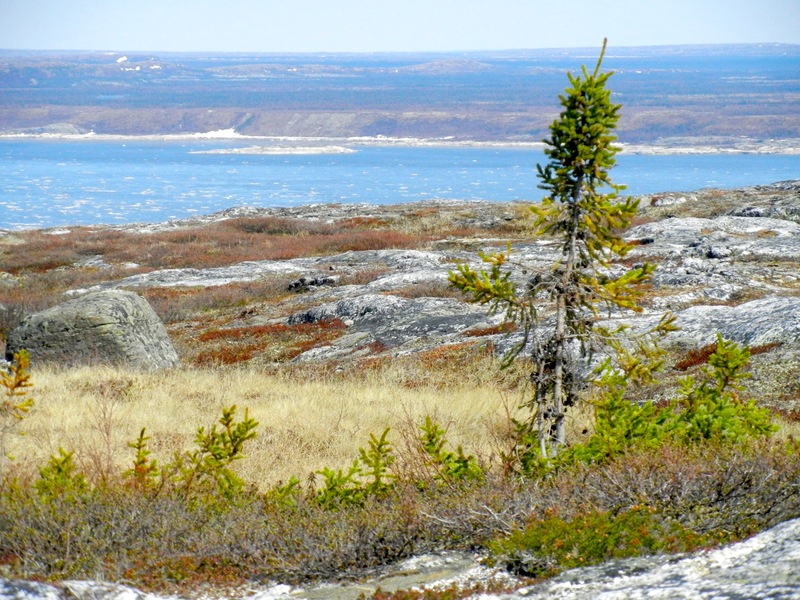 From 2000 on, most of my stories can be found on line on Nunatsiaqonline.ca, which is why the story of Like an iceberg more or less wraps up here. I have talked about what I needed to write about and the events that challenged or formed me as a journalist — and would perhaps be forgotten if I didn’t shake them off and talk about them here. “The iceberg needs to be broken. Even if it’s big, it will break. The only way it can get fixed is if you talk. We have to break the iceberg into pieces,” said healer Meeka Arnakaq of Pangnirtung in 1995. Her words stuck with me. In breaking my own iceberg about those years spent around the Arctic, I’ve left out most of my personal life, trips back to Finland and Norway and many news stories to concentrate on what affected me as a journalist. Feel free to comment here on what I did write about: Your feedback is welcome. My thanks to Nunatsiaq News editor and friend Jim Bell who took the time to check these Like an iceberg posts to keep them free of errors and defamatory statements. Some day this — and more — may become a book. Meanwhile, I’ve boxed up all the files from my three metal cabinets (A to Z,) as well as my photos, slides, notebooks, interview cassettes and back editions of the Nunatsiaq News. I will send them to the Arctic Institute of North America in Calgary, which has offered to add my archives to their collections. There perhaps, an eager researcher will comb through these materials and learn more about what took place and whatever I may have overlooked. Watch out here for upcoming dates with Siku girl. So many important stories for Inuit, Northerners, Canadians and a newer generation of Northern journalists to read and learn from. I’ll miss your posts – thanks for sharing. Hope you’ll continue to share! Thanks for this, Jane. In its ambition and authority, your work has always been a model to those of us down here who try to interpret north to south. I was truly sorry after my last date with Siku girl.